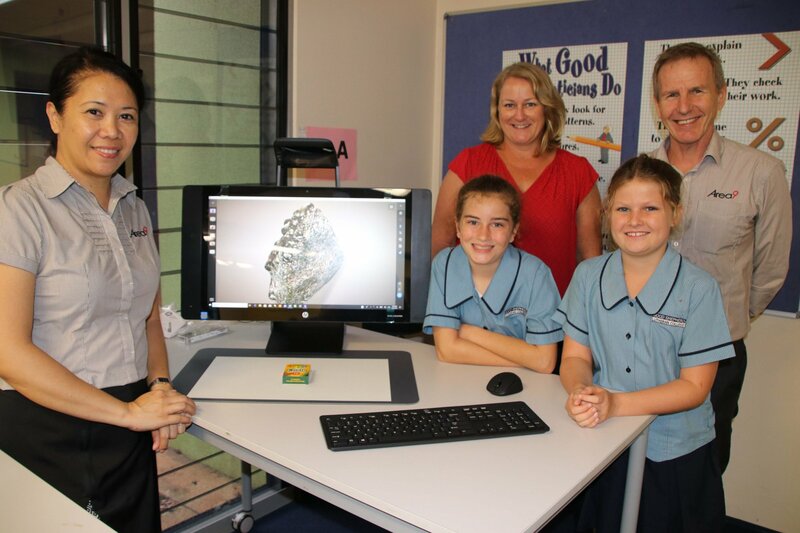 Following a highly contested private schools competition late in 2018 and a number of excellent submissions Area9 was this week pleased to present a new HP Sprout Pro to Good Shepherd Lutheran College, NT as 1st prize for the winning school. Entries were judged by an expert panel that included HP’s National Education Lead, Mr David Hollands and Jon Morton, ICT for Learning Education Officer Catholic Education Office NT. The competition required applicants to submit creative multimedia content that demonstrated how the HP Sprout technology would support learning outcomes at their school. The Area9 team were on hand to present to a packed audience of excited students at the school. “Good Shepherd’s submission was a standout video that demonstrated how the students had clearly thought about applying the technology in learning environment.” Area9 Director Simon Watt commented. In accepting the award, School Development Director Ms Tara Errity said “Thank you so much to the Area9 team for presenting the incredibly awesome HP Sprout. We are just thrilled”. Runner up prize went to Saint Paul's Catholic Primary School NT, who took away the HP ProBook 650 notebook prize for coming second.